At Westlake Hills Dentistry we know sometimes the thought of coming to the dentist to get your teeth cleaned, a tooth filled or extracted, or a minor dental procedure can be stressful and cause anxiety. But it doesn’t have to be that way. We use the latest in dentistry practices and sedation dentistry takes the fear out of coming to the dentist. With sedation dentistry you are relaxed and comfortable during your procedures, and you are able to return to your normal activities very soon after your appointment. Sedation dentistry has many benefits; the main one being removing the anxiety and fear of going to the dentist. Sedation dentistry is a good choice for people who have a low pain threshold. Sedation dentistry is an option for people who find it hard to sit still in the dentist chairIf you have sensitive teeth or a bad gag reflex, sedation dentistry can help you. If you need a large amount of work done, or the procedure is complex sedation dentistry ca help you stay relaxed and comfortable. Dr. Ho recommends sedation dentistry for children who find it hard to sit still and may be fearful or anxious about their visit. The doctor will regulate the dosage of the sedation to match the patient’s weight and age so sedation dentistry is a safe option for almost everyone. Most dental procedures may be performed under minimal sedation. Nitrous oxide (also known as laughing gas) is combined with oxygen and then breathed in through a mask to help you relax. You are conscious, but totally at ease. Dr. Ho can control the amount of sedation and nitrous oxide wears off quickly once your procedure is completed. 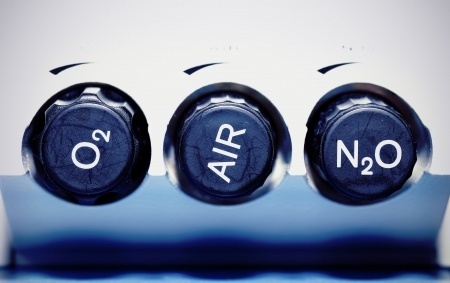 Most patients can drive themselves home after their visit with the use of nitrous oxide. One of the benefits of nitrous oxide is that it wears off quickly. You will usually be able to drive yourself home after your procedure and feel no ill effects from sedation. Nitrous oxide has a proven track record of being a safe and effective way to make your next visit to our office relaxing and stress free. For more information about sedation dentistry in Austin, Texas, contact Westlake Hills Dentistry today. We want each visit to our office to be relaxing and comfortable and we take your safety and oral health seriously. Our offices are equipped to provide an array of restorative procedures such as porcelain veneers, dental implants, composite bonding, and tooth-colored fillings. Westlake Hills Dentistry has been serving Austin for over twenty years, and has attracted a broad client base that includes notable actors, radio celebrities, models, and other dental professionals. A leader in the field of cosmetic and family dentistry, Dr. Ho maintains his reputation by providing Austin with consistently superior care.